Don’t move the hand, stretch the elbow from the hand. Always aim at the largest part of the body since we shoot all over the place, and it’s useless. For now, the torso, later the spine, even later something smaller. Stretch to the extreme, so that when it rotates it can’t be stretched anymore. First half of positive circle, elbow in, rotate the shoulder, rotate the waist (3 parts). 3 parts to every move. Keep the outside (hand, back of head, outside of rear foot) fixed, and push and pull from inside. When you rotate and can’t rotate anymore, you have to switch, so that you are not restricted anymore. There is no looseness in that switch. Vertical switching is sink the qi to the dantien (气沉丹田). During yilu, move each your body part to its designated spot, then move the next body part. There is something at the back that touches the front. Mirror your opponent to be full, so that you can match your opponent. You need the range of motion to become the mold of the your opponent, so you fit your opponent perfectly with no gap in between. Hand, elbow and shoulder form a triangle. You can’t change the shape of the triangle, you can only turn it any way you want. To add weight after you run out of size. To add weight is like to squeeze toothpaste through the mouth (bottleneck). We need to physically go down to create a differential in height between the hand and the shoulder at this time. Direct push from your opponent, react with another part that is not the contact point, e.g. someone pushes your chest, bring back my rear foot, and then step forward with the front foot. The key is no direct reaction. The chest is forward only because of another part of the body. It is a result of an action that takes place somewhere else. Contact point – location device, aim at the opponent’s spine, find the counterpart and split them apart/stretch those two points in opposite direction. All movements are used to move in, use torque to fight. Torque is to use indirect power to fight against direct power. When two dots align, there is no distance between them. Stickiness is created with pressure and vector. My understanding: the pressure and vector need to be created with two different body parts. The problem often is the pressure is changed when we try to add the vector. Power naturally goes up, we need to learn to control it and always make the energy go down. My problem: I may go down, as soon as I move, the energy goes up. Double Heavy means no yin-yang separation. I realize how I want to learn now is to simply follow straight forward instructions, and no explanations. I fully believe in following the method. I hope to get real taiji someday. Stick with the principle, and hope that your opponent doesn’t do what he is supposed to do. Always measure yourself against the principle, and not against someone. There is no counter move. We are training a move to make it work every time against anyone. A lot of the principles don’t make sense, but you have to follow them. There are too many who just refuse to keep trying, thinking that was impossible. Real learning comes when you are able to do something that seems impossible. Cai is about creating differential in speeds of two points, e.g. pull a rope back at a speed faster than the speed used to throw it out. Master Chen can tell you what it should be like in an externally measurable way, but to do it I will need to figure out a method myself. To figure out a method, I have to try and try/train and train. Find a method to have a breakthrough every year. People often identify the first three years’ progress as learning. Hardwork is a must, but it really doesn’t guarantee any meaningful results. Continuous examination of your body against the principle must be done. Never satisfy with what you can do today. Do not believe that you have got anything. Separation of yin and yang is never what you think it is. Constantly watch Master Chen’s videos and sort out what you need to work on next. This also applies to how yilu should be practiced. I need to pick a focus on my daily yilu practice. Once I am able to do the particular action with ease, I will need to pick another focus. Don’t just go through the motions, or else the yilu practice doesn’t yield the desirable effect. Exercise 1: Space – Look for and occupy your opponent’s empty space without pushing him, e.g. just put your hand in that empty space. Exercise 2: Two Pieces – Find a way to separate your opponent into two independent pieces, e.g. holding the opponent’s leg not moving, and pulling his hand away from the leg. I found that it helped me focused by keeping telling myself a keyword during the exercise, e.g. “space” and “two pieces”. Otherwise, the exercise may just turn into free push hands, and loses the point of the exercise. Photos of the workshop can be found on Facebook. I agree. Figuring out the method brings greater attention to our body and its movement. I find myself continuing to adjust my posture or how I hold my body throughout the day. Since I started the Practical Method, I have become totally in line with #25. I trust the method and really don’t want to think about it. I have less of an interest in the explanations. They are interesting to be sure, but I think #25 plus #30 is an excellent combination. I have been trying to think about what to write describing my experience at the workshop…but frankly, the depth of just the ONE day that I attended out of the possible four is keeping me so full of thoughts and a need to rearrange my concepts it’s too hard…I garnered so many ideas to work on, or indeed even ways think of myself that it will take a while to integrate. Suffice to say – my mind was blown! 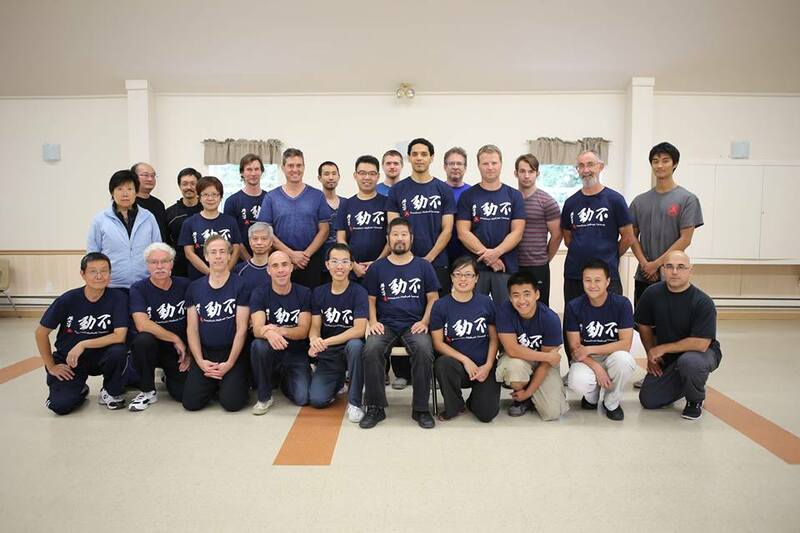 I have been waiting literally DECADES to get some more access to the rare Chen Taijiquan, and I was not disappointed! Also, Chen Zhonghua tells the funniest stories, or is that stories in the funniest way…? Thanks – Hugo & Kelvin for bringing me in!